So, I had to clean her up (after taking embarrassing pictures that she’ll get mad at me over in a few years). I was unsure what that mascara contained, so I grabbed a bottle of Baby Magic No-Rinse Wash that I recently received to review. How convenient. I didn’t need to wait for her bath water to run or fight with my toddler to get her to take a bath. 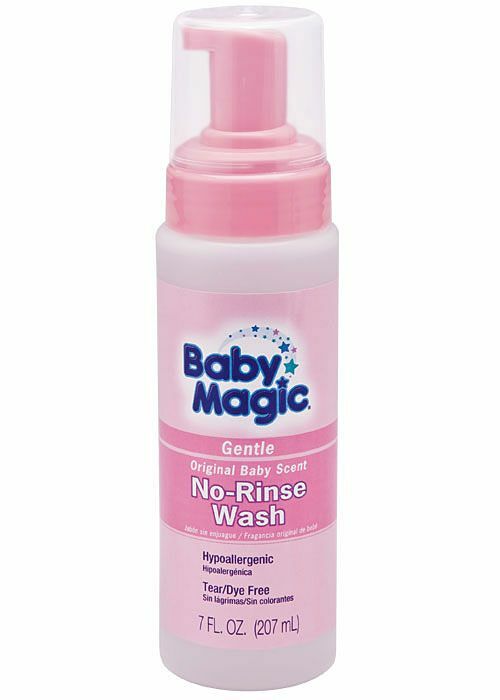 The Baby Magic No-Rinse Wash smells incredibly pleasant. There’s no harsh fumes or fragrances that are often found in the majority of baby hygiene products. The scent is gentle for both mommy and baby. I can’t express how great it is to not have to actually bathe my daughter to get her clean. My back is in constant pain, and I’m only able to bathe her every other day. This is a great way to keep her smelling lovely, whether she’s got mascara all over her face or if she just needs to freshen up.